Everything tastes better in glass. Won't leach, stain or smell. All parts dishwasher safe. No need to remove sleeve for cleaning. EVERYTHING TASTES BETTER IN GLASS. 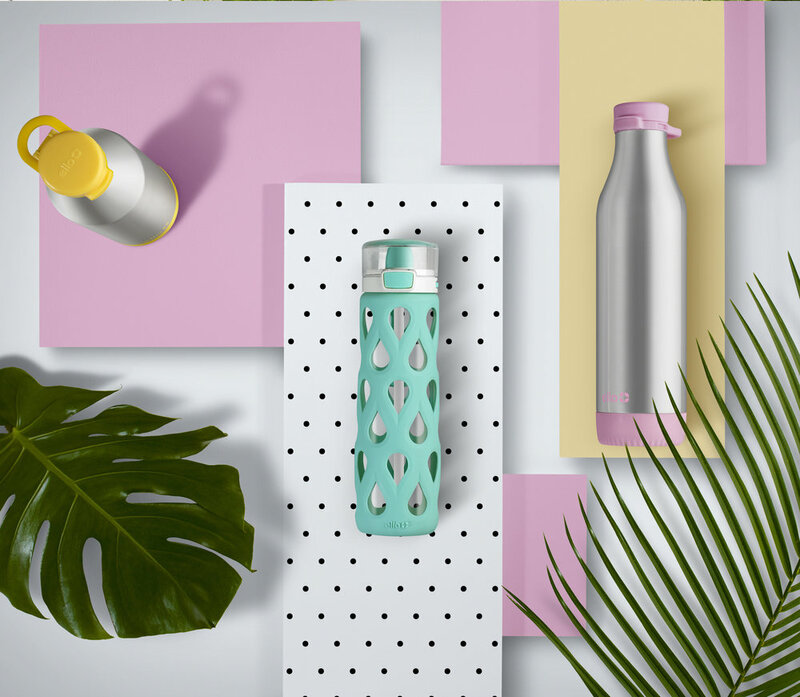 The Ello Gemma Glass Water Bottle is made of clean tasting glass that won't leach, stain or smell … so your water tastes like water! A BPA-free food grade silicone sleeve protects the glass from impact. Gemma's leak-proof locking one touch lid with silicone soft straw is designed for comfortable drinking on-the-go. Wash before use. All parts are top rack dishwasher safe. No need to remove silicone sleeve for cleaning. Store with lid removed. Do not freeze your bottle or leave it in your car in freezing weather. If your glass bottle breaks or cracks, dispose of immediately.